A glass of red wine and a lush greenery arrangement are little things that make life better. 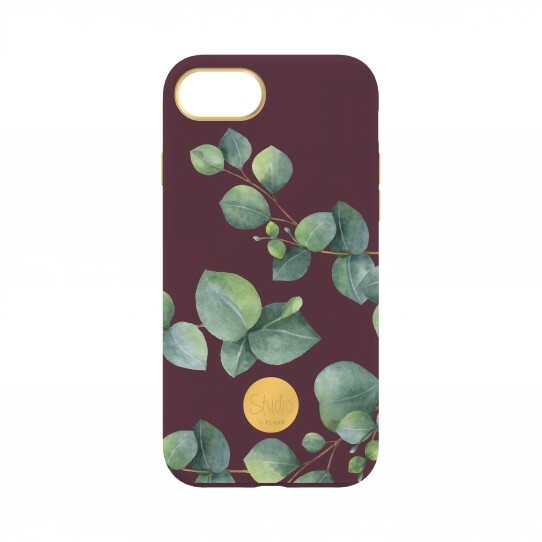 The Wine Eucalyptus case from FLAVR’s STUDIO line brings together these perennial favorites in its wonderfully contrasting pattern that will make a striking addition to your outfit. The muted green shade of eucalyptus leaves is only enhanced by the deep maroon background, while subtle metallic elements add an extra touch of sophistication.